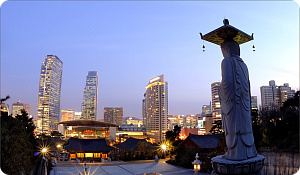 As a city with a history of more than 600 years, Seoul is unique in that historical sites and modern cultural facilities coexist in harmony. Seoul is one of the safest places in the world for foreign travelers, with low levels of crime, cutting-edge medical facilities and capable police and security authorities. And it is always bustling with colorful events, performances and reenactments of traditional activities. The Opening Ceremony on the first day of the Congress and all other mathematical events will take place at the COEX Convention & Exhibition Center in Seoul, a state of the art facility for holding large meetings. It has an auditorium large enough to house more than 7,000 people, and has 7,500 hotel rooms within 5km radius. With 51 meeting rooms that can be divided into 89 smaller rooms, four exhibition halls and experienced professional staff COEX provides the space and services necessary to accommodate events of any scale and style. 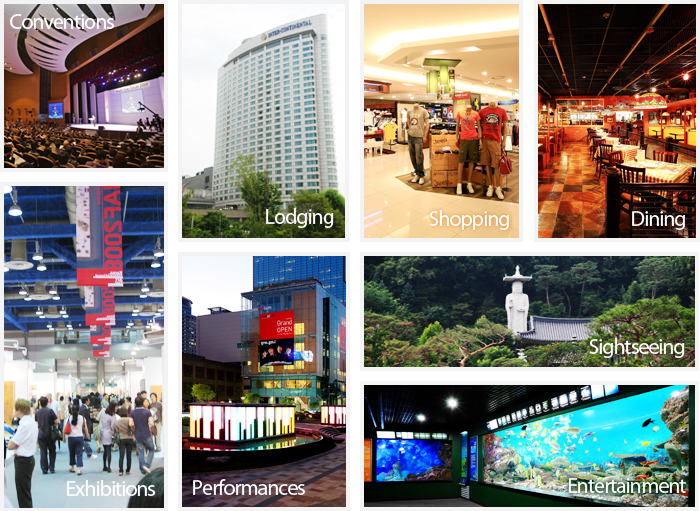 Coex is a business and cultural hub located in the heart of Seoul’s business district. It is a convention and exhibition center and also a popular entertainment destination for both domestic and foreign visitors. Asia’s largest underground mall, three five-star hotels, a department store, a subway station, an airport terminal, and more are all located at COEX. No scientific activities are scheduled for Sunday, August 17. 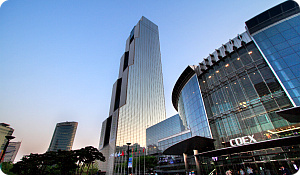 COEX is located in the World Trade Center Complex in Gangnam District south of the Han River in Seoul. Over 3,700 international flights from 142 cities worldwide on 272 routes arrive in Korea every week. Most international passengers use Incheon International Airport (ICN) to enter Korea. Some passengers from China or Japan may use Gimpo International Airport (GMP). Passengers arriving at ICN or GMP will need to take a limousine bus or taxi from the airport to COEX. Airport Railroad Express & subway is also available between ICN and GMP.